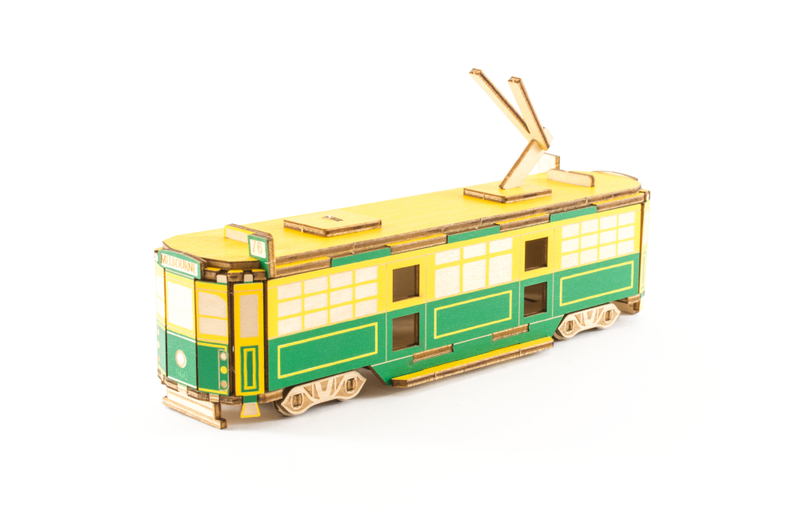 Brighten your home with this coloured Melbourne Tram! Melbourne’s iconic W-Class Trams may be retiring from the public use, but they can continue to live on in your own home as this colourful puzzle! This design is from the new Ki-Gu-Mi Australia range. Ki-Gu-Mi fun fact: The Colonial Tramcar Restaurant is a restaurant inside a working W-Class Tram. It is the first travelling Tram in the world and serves fine dining as the restaurant travels through historic areas Melbourne!